Courtney Ashe was visiting her uncle’s in Loudoun County on Friday night when she FaceTimed with her 5-year-old son, Cameron A. Martin. The boy said he wanted to see her and play with his 9-year-old cousin, Jaylen C. Sills-Russell. The rain that evening was hurtling down in sheets. But Ashe wanted to make her son, the eldest of her four young children, happy. So, she and Jaylen hopped into her 2002 Ford Taurus and drove along Loudoun’s curvy roads to make it to her mother’s home in Ashburn. They arrived safely at about 11 p.m. Cameron and Jaylen played hide-and-seek while Ashe visited with her mother, Sabrina Jewell. Then it was time for Ashe, 27, and the boys to go. Jewell was worried. A flash flood warning had just been issued in several parts of Washington’s suburbs, including Loudoun. Close to 2½ inches of rain had been recorded at Reagan Washington National Airport, and it was the wettest day in more than two years in the District. Instead Ashe, Cameron and Jaylen went missing for three days. On Monday, relatives searching for Ashe’s car spotted it upside down in Sycolin Creek in the Leesburg area. They were dead. The Loudoun County Sheriff’s office said it looks like Ashe — an on-again, off-again nursing student who also had 3-year-old twins and a 2-month-old baby — lost control of her Ford, crossed the center line, flipped over a guard rail and landed upside down in the water. Authorities said they could not determine yet whether they died of drowning or the crash itself. Investigators are still waiting for the medical examiner’s autopsy. “Anything is possible right now. We don’t have any witnesses to it,” Loudoun County Sheriff Mike Chapman said at a news conference Monday night. He added there was no indication of foul play. What happened, the sheriff said, was terrible luck. Ashe’s car happened to land not on the side of a road, where the possibility of survival might have been greater, but in a flooded creek. Ashe’s mother first sensed something was wrong when her phone rang at 1 a.m. on Saturday morning. It was her brother Kenneth Combo, who lives in Leesburg. 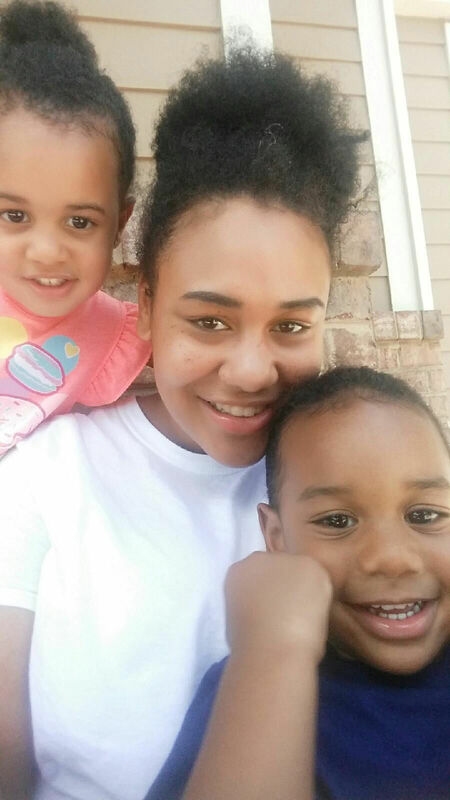 Ashe, Cameron and Jaylen were supposed to have returned to his home by then. Maybe, Jewell suggested, Ashe drove Cameron and Jaylen to Cameron’s father’s house in Fairfax County. “Sometimes, she does that,” Jewell said. But she couldn’t go to sleep. She stayed up all night, watching television and calling Combo to see if he’d heard from Ashe, and calling Ashe herself multiple times, leaving voice mails, anything. “I sent her text messages, saying, ‘Where are you? Call me,’ ” Jewell said. By Saturday, their anxiety escalated. “We were sort of angry. She wasn’t at Kenneth’s house. And her phone wasn’t taking calls. But we said, ‘She’ll be in tonight,”’ Jewell said. She reached out to friends, but refrained from calling authorities. She said she thought they needed to give Ashe’s absence 24 hours before a law enforcement agency would launch a search. Though Ashe had grown up in Loudon — she graduated from Dominion High School in Sterling — she lived nearly four hours south in Suffolk with her grandmother and her 3-year-old twins, Brandon and Alasia. She had just given birth two months ago to her fourth child, a daughter, Imani. Cameron, who lived with his grandmother in Prince William County, was about to enter kindergarten. Everyone called him “Cam.” He loved playing with the iPad and watching “Teenage Mutant Ninja Turtles.” And he also loved his cousin, Jaylen, who lived in New Jersey but was spending part of the summer with Combo in Leesburg. Without any clues of their whereabouts, Jewell and other relatives drove to the Loudoun County Sheriff’s Office on Sunday morning and filed a missing person’s report. Over and over, Jewell dialed her daughter’s number. Meanwhile, Jewell said her brother drove across Loudoun, into Manassas, and then to Fairfax, looking for her car. They even took the drive she was supposed to have made from Jewell’s house in Ashburn to Combo’s in Leesburg. Nothing. But at some point Monday afternoon, Combo said he, his wife, and Jaylen’s parents, who had arrived from New Jersey, were driving along Evergreen Mills Road near Leesburg. Jaylen’s mother spotted the wheels of a car elevated over the water, Combo said. Another man traveling on the road saw the commotion. He jumped into the river. Combo, 53, said he waded into the water, too. The other man, he said, broke a back window and grabbed Ashe’s arm and pulled her body out. But the bodies of the boys remained in the back seats, strapped into their seat belts. The authorities had been called, and they arrived within minutes. And soon, the local NBC helicopter was flying over the wreckage, hovering over the upturned vehicle, its wheels and underbody easily visible in the dark creek. That night, outside the apartment complex where she last saw her daughter on Friday night, Jewell spoke before the cameras. “I … ask myself, ‘Why didn’t you make them stay?’ ” she said. Combo fixates on one detail: The creek, he said, is just five minutes from his home.